Zinc Oxide, a safe FDA approved, non-allergenic and non-comedogenic mineral compound that is proved to be the most effective long lasting UVA/UVB broadspectrum protection. Our Zinc is recycled, sustainable, uncoated and Non Nano particle. Maca is an adaptogen – it helps the body naturally adapt to environmental stressors. When applied to the skin, Maca may help protect It from the Sun. A study published in 2011 in the International Journal of Dermatology found that Maca applied to the skin prevented skin damage from UV exposure, showing an exceptional SPF 30-60. The protective effect was attributed to the polyphenol antioxidants and glucosinolates found in Maca. It also acts as a natural antioxidant, boosting levels of antioxidants like glutathione and superoxide dismutase in the body. Chaga is known to be an effective adaptogen, it has the highest form of melanin on the planet. Melanin is the color of your skin that protects you from the sun. The concentrated melanin present in Chagas dark color protects it self from harmful UV rays and it gifts humans with the same protection when used. Chaga is genoprotective, it has high amount of betulonic acid which is necessary for regeneration of skin, and healing of wounds. The Betulonic Acid targets cancer cell causing apotosis (It does not harm healthy cells). Chaga contains the highest amount of (SOD) Superoxide Dismutase, an important enzyme that functions as a powerful antioxidant. SOD repairs cells and reduces damage done by free radicals. Cacao helps in improving the skin’s complexion. It also provides hydration to the skin. Enriched with minerals and vitamins like Vitamin C, Magnesium and Omega-6 fatty acids, it protects the skin from harmful UV rays and acts as a natural sunscreen, keeping it healthy, promoting blood flow and increase cellular healing to develop a youthful glow. Red Raspberry Seed Oil is a rich source of Omega 3 and Omega 6 essential fatty acids and antioxidants; including Vitamin E, polyphenols and ellagic acid. The potential UVA and UVB protection afforded by raspberry seed oil is reportedly similar to titanium dioxide with an SPF protection factor of 28-50 (Oomah et al 2000). An excellent source of omega-3 fatty acids and vitamins A, D and E, When used topically on the skin, the oil naturally triggers the production of collagen by the skin, moisturising and acting as a natural sunblock. The oil of an avocado penetrates the skin but is also thick enough to serve as a protective barrier. The antioxidants and anti-inflammatory agents in avocado oil help your skin stay smooth, strong, and elastic. Coconut oil is a powerful moisturizer that helps to strengthen skin tissue more deeply and eliminate dead skin cells while absorbing quickly into your skin. 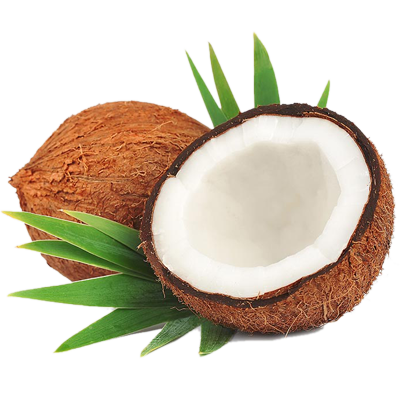 Because it contains Vitamin E, known to protect skin cells from damage over time, coconut oil is soothing for conditions such as sunburn. It also has natural occurring sun protection properties (SPF). Mango Butter its known for skin softening, soothing & moisturizing properties, helps to combat dry skin, eczema and dermatitis. Due to its moisturizing essential fatty acids, is helpful in protecting the skin from the weather and UV radiation. Contains anti-oxidant, anti-inflammatory and anti-aging properties, it’s rich in oleic acid, a mono-unsaturated omega-9 acid; and stearic acid, a saturated fatty acid. Candelilla wax is rich in nutrients and easily absorbed into the skin, allowing it to act as a barrier and help prevent moisture loss. When applied to the skin It reduce the appearance of wrinkles, brown spots, scaly skin and stretch marks. Because of its high ester, fatty acid and resin properties, Candelilla wax can reach high levels of brilliance and makes it an excellent water resistant. Bayberry wax also known as Myrica fruit wax is a peel wax and covers the small sustainably harvested greyish berries to protect them against loss of moisture. Similar to beeswax, it works as an antiseptic, thickening agent and emulsifier with soothing and softening properties that heal the skin. Wax also had its uses in traditional medicine by Native Americans as a remedy to treat itchy skin.